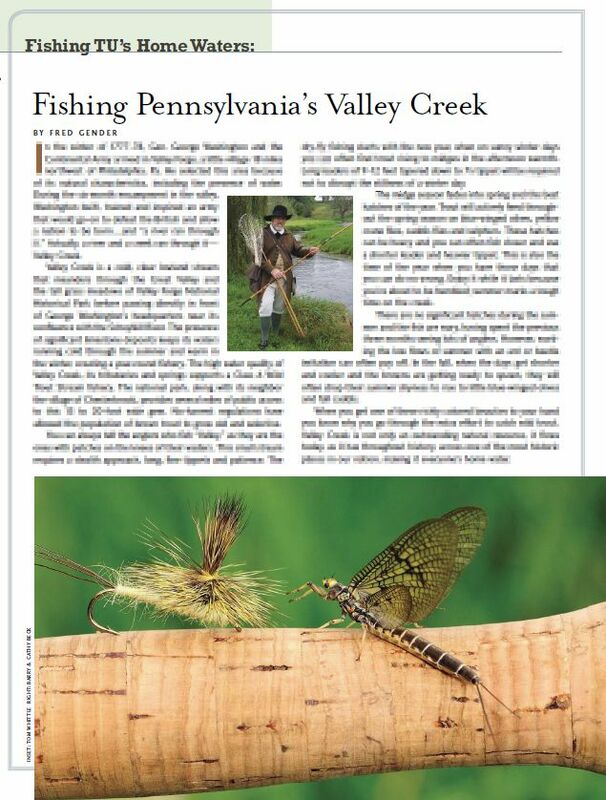 Was paging through Trout Magazine (Trout Unlimited's quarterly read) and was pleased as I flipped through the pages. Two articles immediately grabbed my attention. The first was a half page about one of my "home" streams, Valley Creek. Anybody who reads this blog regularly knows I pretty much live at the place on weekends, so it was pretty neat to see a kind writeup in a national publication. Copy obscured...well because...it's not mine to re-print. The second article was a superb multi-page spread by Chris Hunt called Wild Places. (You may also know Chris as the author of Eat More Brook Trout). 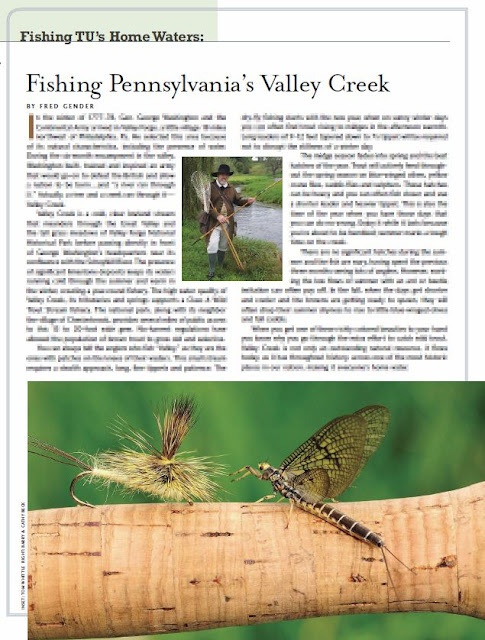 The Best Wild Places project is a partnership of TU and Field & Stream Magazine focused on preserving these stunning outposts of natural beauty for future generations. This particular piece briefly highlights six of these treasures. Rather than lifting and blurring the story again, as it would be an injustice to mar such beautiful photos, I found this video on YouTube that gives you an idea of what's going on. Enjoy. And enjoy your weekend! ;) LOL Aren't all wild places great?! HA! I was waiting for someone to pick up on the Revolutionary War guy. Yeah, Valley Creek is in Valley Forge Park where Washington's troops stayed for the winter. Incidentally back then they would have fished most likely for shad, not trout. But we did a good job of building dams over he past 200+ years to all but stop that shad run. Also, definitely looks like a tenkara rod that guy has. Not sure about his tamo. @Owl Jones I think that video was also put together by Chris Hunt - who is notorious/well known/famous for his love of small tumbling streams that are off the beaten path - aka not the famous rivers that produce massive behemoth trout.